For more the past seven decades-plus, Cla-Val has been a leading manufacturer of automatic control valves. Their products are known around the world for their high quality, durability, and unparalleled performance, even in the most demanding applications. Cla-Val control valves are used in waterworks, fire protection, irrigation, aviation ground fueling, marine, and countless other industries. Cla-Val uses premium quality materials and proven production methods to create some of the longest lasting and best performing automatic control valves on the market. They produce valves in a broad spectrum of sizes and configurations, to meet the needs of any fluid handling operation. They work with a variety of standard and specialty materials, including Monel and Inconel alloys. 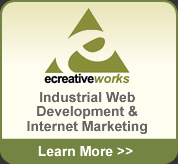 The company also offers technical assistance and complete on-site service and repair. 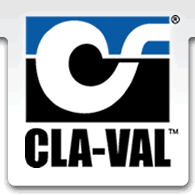 Founded in 1936 in South Pasadena, California, Cla-Val has grown from a five-person staff to a worldwide presence with production facilities and warehouses in Canada, Switzerland, France, the UK, and New Zealand. The company’s current headquarters are located in Costa Mesa, California, and include two in-house foundries and a complete, four-plus acre manufacturing facility. For more information, visit www.cla-val.com.